some of the best gifts are definitely homemade. it makes people feel special when they know you have taken the time to make them something. and while the gift itself DEFINITELY matters…packaging really is tantamount to almost everything. and here we have yet another opportunity to take something that normally would be thrown away & turn it into something RAD. both of these examples are from my own archives/craft memoirs. 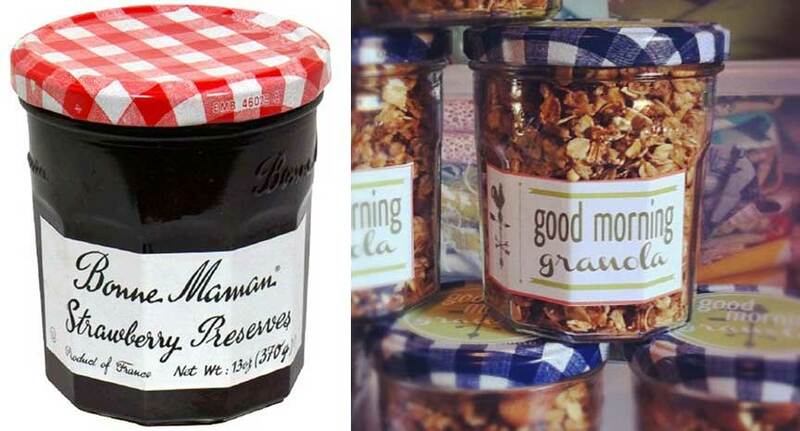 the first i did by saving up bonne maman jam jars for awhile, and then i put granola in them as gifts for friends staying in town! bottom line? you can do amazing things with stuff you would normally throw away!